Flex Rating: 5 (1 Soft - 10 Stiff) – A medium flex great for freestyle moves and general freeriding. Custom Fit Pro – For advanced comfort and max foothold, Custom Fit Pro has increased amounts of heat moldable foam strategically placed in the sensitive areas of the foot, shin, ankle and heel. Halo 2 Liner – This liner is specifically designed for women from the sole up, with a better fit, softer touch and extra warmth that women demand. 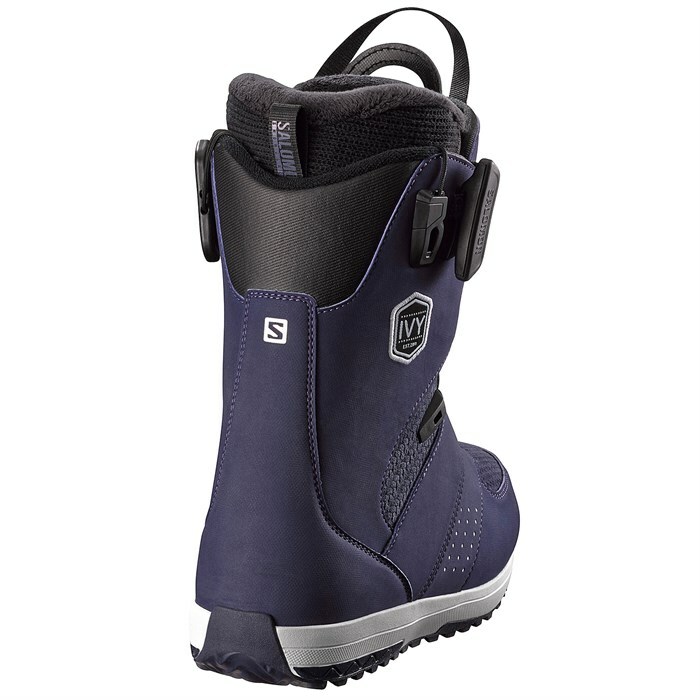 ZoneLock Lacing System – ZoneLock offers a lower zone locker on the side of the boot in addition to the locker on the tongue. Customize your fit, one zone at a time, with optimal wrapping support and outstanding heel hold. Ortholite C2 Footbeds – Ortholite footbeds create a cooler, drier, healthier, and better cushioned enviornment for your foot. They do not break down over time and stay cushy and comfortable ride after ride. 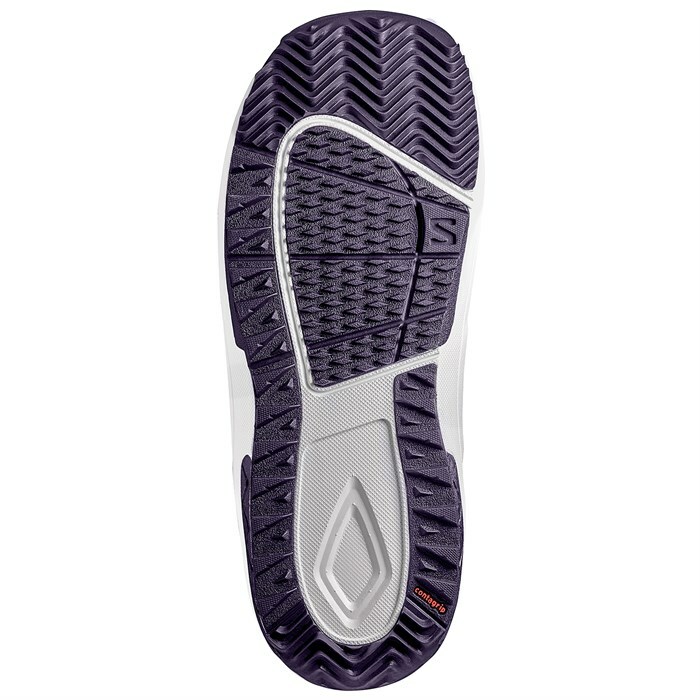 Flight Outsole – EVA + rubber compound outsole is specifically engineered for an extremely lightweight, cushioned, and low-profile freestyle feel. Wash & Wear Technology – Glueless liner construction, so you can fight the foot funk by merely dropping your liners in the wash.